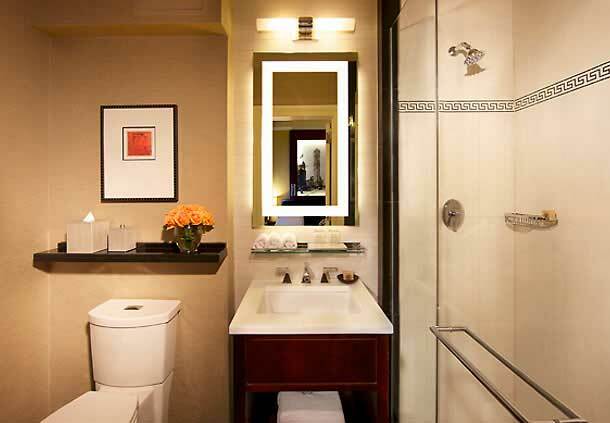 We have all stayed in those large chain hotels in various cities throughout the world. However, one has to question whether you have any strong memories of them. Yes, I know that when you are away on holidays you might not be spending that much time in your hotel room; particularly in one of the world’s most famous cities for shopping and sights – New York. However, there is still a strong argument in favour of staying in a place that has character and personality, as fashions change and those clothes you bought will go out of date. 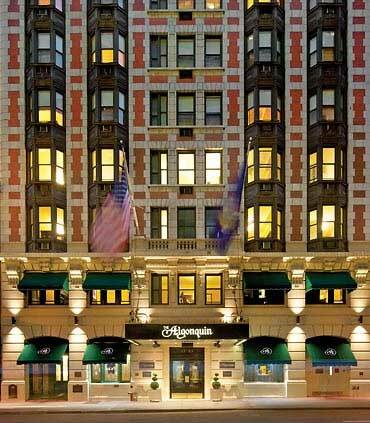 The Algonquin Hotel is a most unique style of hotel. For starters don’t expect BIG. The hotel was built in 1902 and is described as being an ‘intimate hotel with a red brick and limestone façade’. 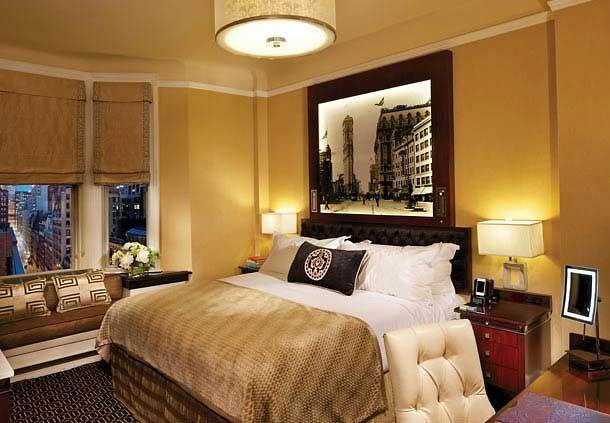 It’s location is that of fashionable midtown Manhattan and it is close to some of the most famous clubs, including Harvard and Yale which are just a stone’s throw away. From the beginning the Algonquin became a place to be seen in and was thronged with the glitterati of theatrical and literary life. The list of visiting celebrities is as long as your arm (longer) and includes luminaries such Gertrude Stein, John Barrymore as well as those involved with the famous Round Table. I was immediately struck by its intimacy on arrival where I was met by the resident cat ‘Mathilda’ in the small (tiny) front lobby. Obviously I wasn’t a celebrity as after one disdainful glance she was off to check out other people coming in. The lifts are Paris size ‘petite’. The corridors are very narrow but I spent ages reading the wallpaper on my way to my room. The wallpaper is like reading a novel. My bedroom was so small that I thought I was in Mathilda’s room. However, it has everything that you want, at arm’s length. The bed was dressed beautifully and I mean properly dressed. It had a super light and airy duvet and different pillow types so that I could choose which ones suited me. When I lay down on that bed, I knew I was in heaven. My feet were killing me from walking to and from various appointments but within minutes I was beginning to feel alive again. After a well earned rest I was itching to get downstairs to see what action was going on. As a female travelling abroad for work on my own I have found that hotels in cities can sometimes be quite intimidating. This was certainly not the case when I stepped out of the lift in the Algonquin. A couple of steps and I was in the Lounge, which was stuffed with Edwardian furniture punctuated by palm trees. It was your classic lounge, not dated at all and has clearly stood the test of time. I looked around to see if there were any famous people but disappointingly there were none there, except for me of course. I lingered for a while over a cup of coffee, periodically looking up to see who was coming in. Being early for dinner I peeked into the Blue Room and as there were only a few people there I enjoyed a well earned Manhattan cocktail. This room has the wow factor and there is a most interesting collection of artwork on the walls. Hunger got the better of me and I sauntered into the Round Table room for dinner. Mahogany chairs and black painted wood panelled walls give an intimate atmosphere to the room. The staff were all ‘old style’ attentive without being intrusive and I felt quite at home dining on my own. Note to Diary: Must bring hubby next time! My colleagues were staying in different and more modern hotels but next day I invited them for cocktails in the Blue Room. They were all suitably wowed by the hotel and its character. They were even more impressed by the fact that Mathilda was behaving like my best friend now. 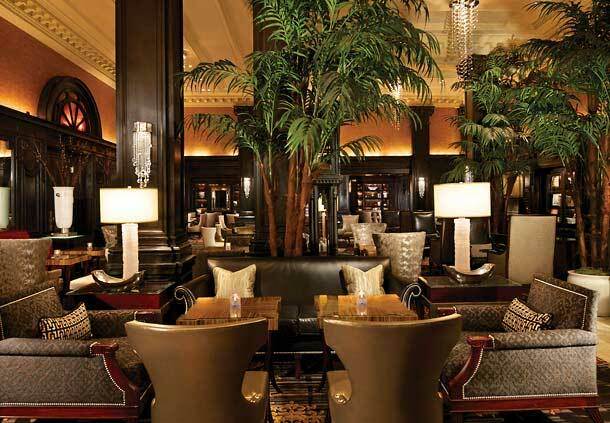 If you want to feel like a real celebrity I would recommend the gorgeous Algonquin. Not much will have changed, if anything, since I was there. 59 West 44th Street, New York, NY 10036, U.S.A.